and other popular digital distribution and streaming sites. 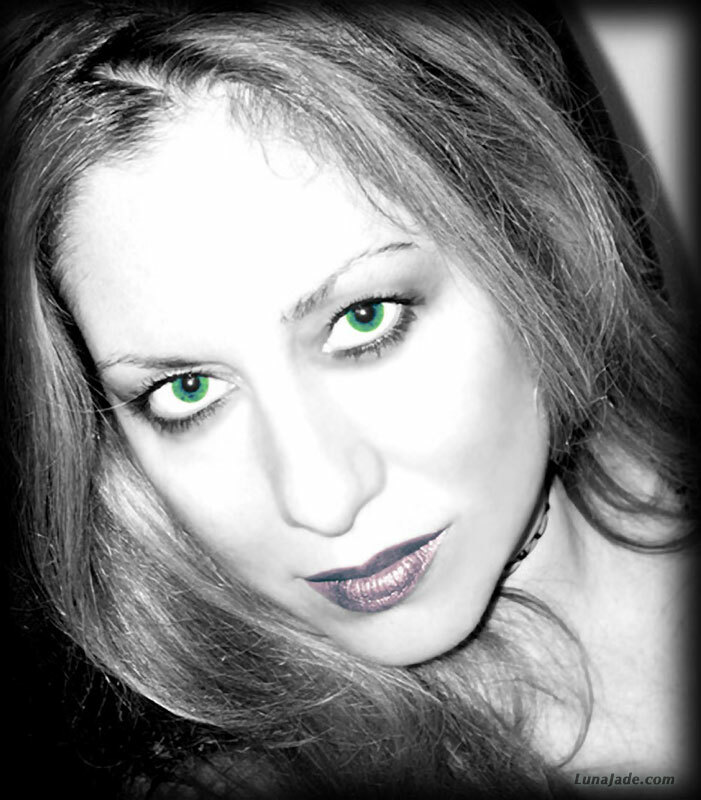 STUCK IN THE MIDDLE WITH YOU by Luna Jade… Taking a classic rock hit for a soulful, bluesy spin. 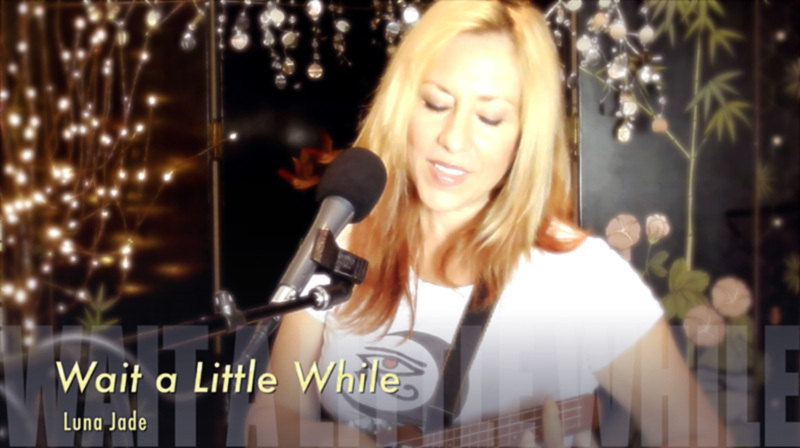 USE ME by Luna Jade… A fresh new take on Bill Withers' iconic hit. Classic funky soul with a modern edgy groove. recording, audio engineering, vocals, production, etc. by yours truly. and many other digital music sites. Watch the O Holy Night promo video on YouTube. DARK WITHIN, New release for Halloween 2015! Seductively dark ambient electronica with a haunting vocal and lyrics. More about the release here. is available on Amazon MP3, iTunes, Google Play, and many other digital music sites. Watch the Sea of Silence promo video on YouTube. 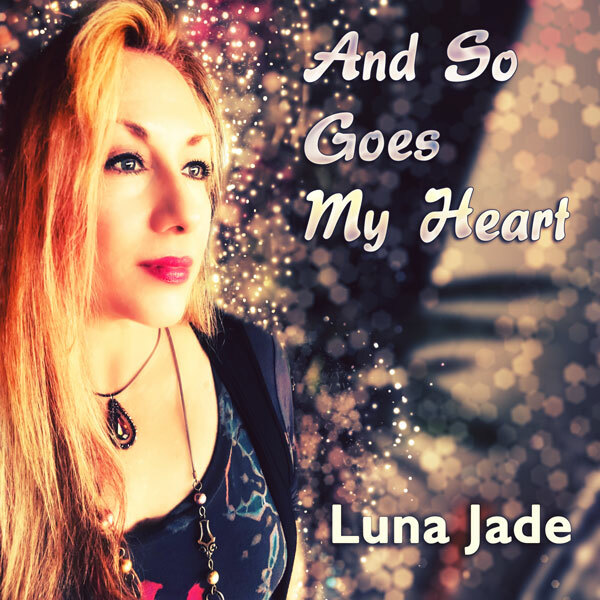 An accomplished professional vocalist, songwriter, musician, producer, and recording artist with an expansive vocal and stylistic range, Luna Jade has been creating and performing music all her life. 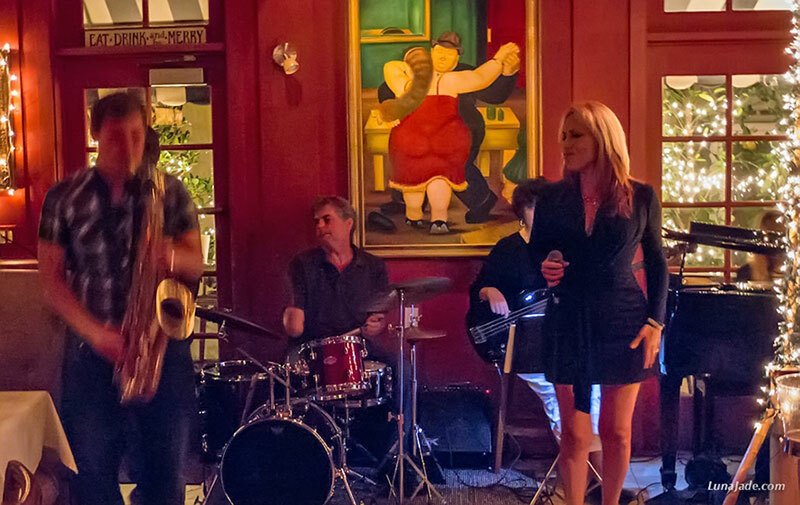 The daughter of a gifted jazz musician and talented painter & visual artist, Luna inherited a rich musical and artistic legacy, igniting her eclectic nature and sparking a life-long artistic exploration. Her rich, multi-textured voice creates beautiful tapestries of sound. 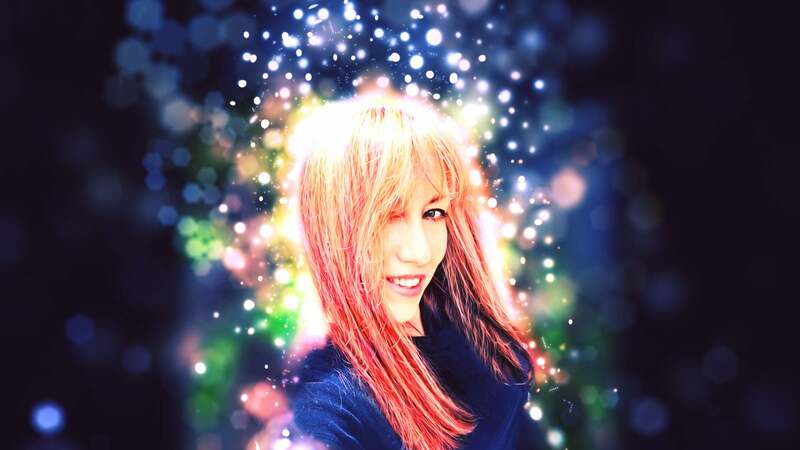 She has been voted a top five finalist in the SingerUniverse Magazine Best Vocalist Contest, her original songs have been chosen as one of the top 5 songs in the SongwriterUniverse Magazine Best Songs contest and have been awarded Honorable Mention in the Billboard World Song Contest. 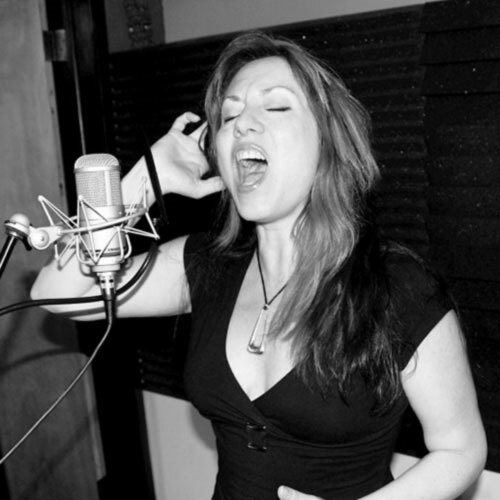 Her recordings, original and cover, have been featured repeatedly on various radio networks, including Women of Substance Radio, where her performances went into rotation on a holiday playlist that included Lady Antebellum, Norah Jones, and Melissa Manchester. Apart from her songwriting as an original Indie artist, Luna also composes, records, & produces music for commercial and soundtrack purposes (corporate, advertising, film, video, etc.) on a contract and stock library basis - as artist and engineer. 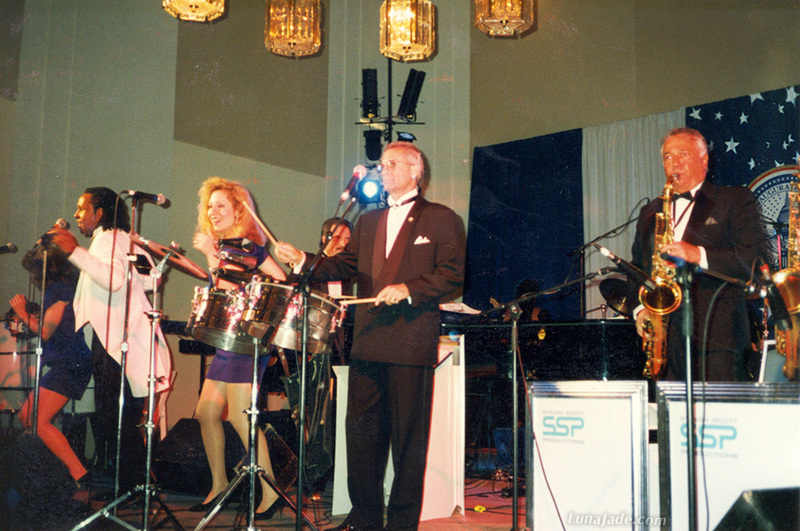 A native New Yorker now transplanted to Florida, Luna spent many years in the spotlight as a lead vocalist for some of Manhattan's top event bands and society orchestras - at times literally performing for presidents and kings. 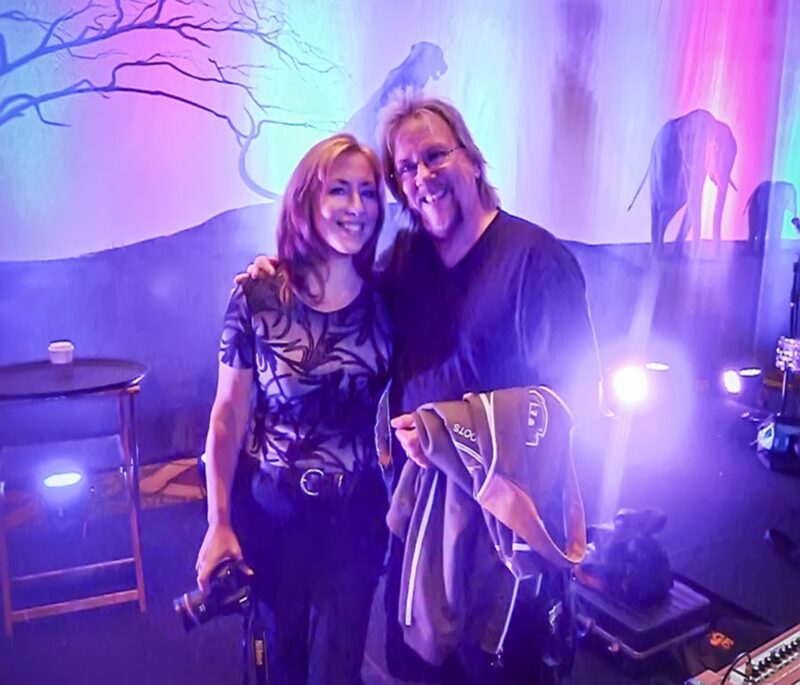 During her ever-evolving career, Luna has shared the stage with Billy Joel, Jimmy Buffet, and Foreigner's Mick Jones, opened for artists ranging from Tony Bennett to Barry Manilow, and has appeared onstage as a backup vocalist for Ambrosia's David Pack, Wayne Nelson from the Little River Band, and Bad Company's Brian Howe... a testament to her vocal versatility. Vocalist / songwriter / photographer / poet / writer / visual artist / . 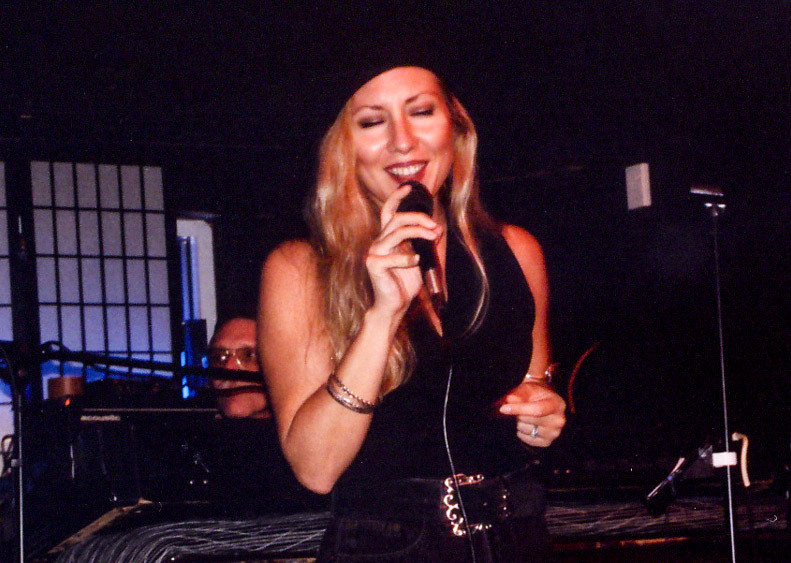 . .
A powerful, emotive singer/songwriter with a voice that "can breathe fire one minute and wrap languidly around a dulcet note the next," Luna's vocal style deftly spans the sonic spectrum - from the blue-eyed soul of Michael McDonald to the versatility of Eva Cassidy with a bit of Steven Tyler's rock cojones thrown in. 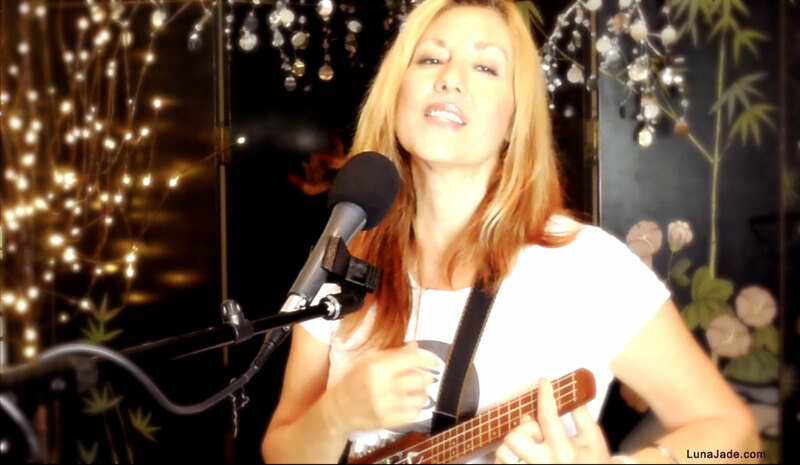 Writing songs to inspire, heal & make you think while rocking you to your soul. Luna's gift for eclectic artistic expression extends to the visual and written realm. 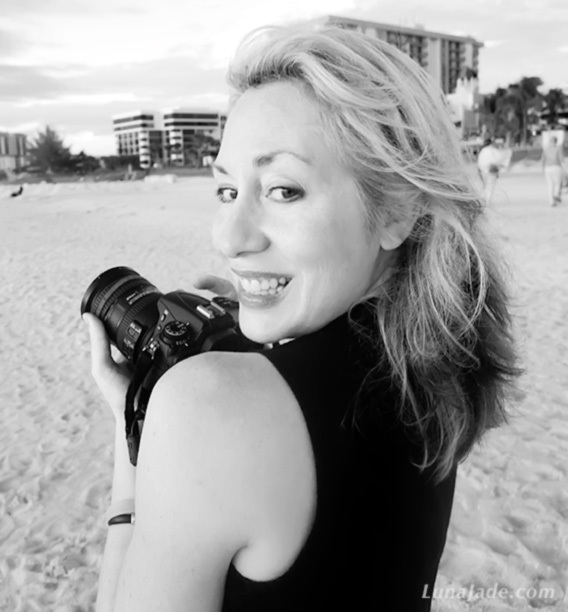 Luna sees with the vision of a creative soul... making real the imaginings of her inner spirit, capturing the beauty of life and the world around us, interpreting and expressing it through her photography - Nature & Fine Art and Event & Lifestyle - and her artwork. 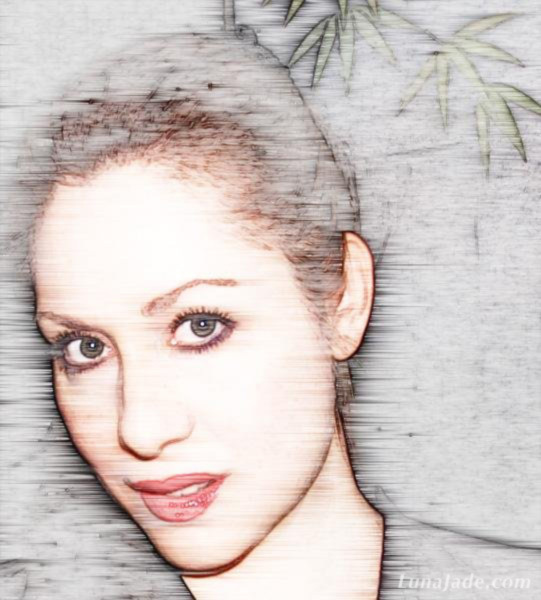 Luna's words - poetry, prose, lyrics - are the musings of her soul and mind, laid bare. 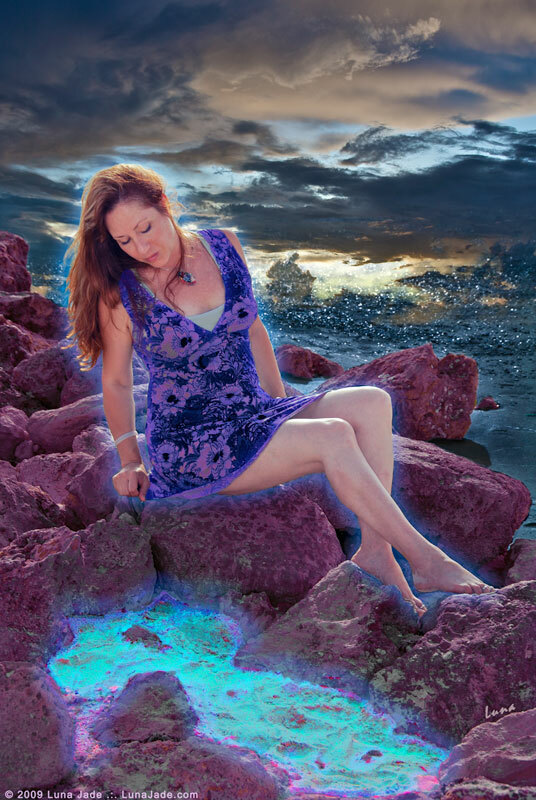 An artist of multi-faceted expression fascinated with new vistas, Luna continues to explore and share her ever-evolving voice. 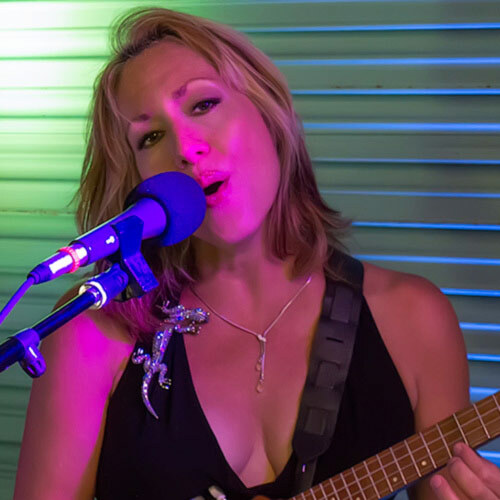 As she has evolved her artistic expression, Luna's love for singing and performing has taken a more conscious, caring, and connecting path... for her, this is what being an artist is truly about. "I think the most deeply rewarding and soul-fulfilling aspect of being an artist - a vocalist, songwriter, musician, writer, etc. - is the opportunity to touch another soul in a positive way. Each experience is a blessing. I believe that this is an important part of our purpose and each time we accomplish that, we have succeeded in bringing a little more light into this world. This is our true gift." 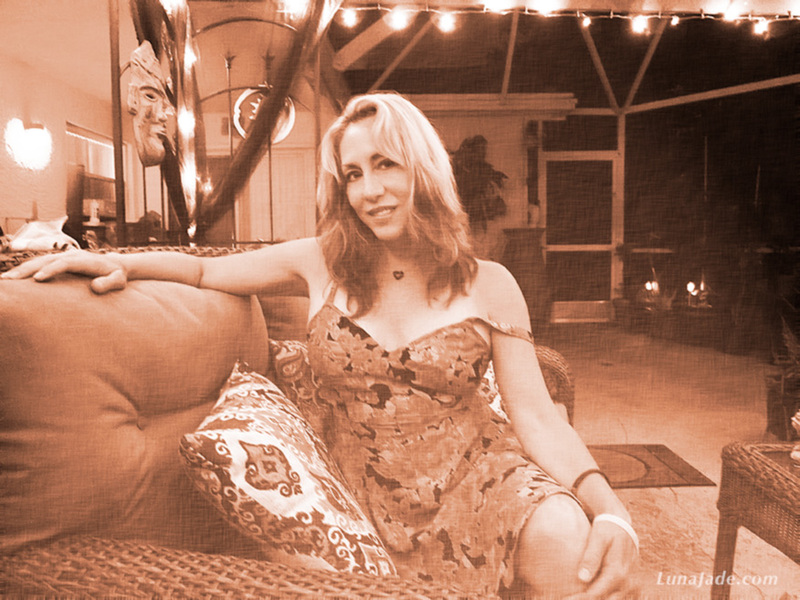 In recent years, Luna has added a new dimension, applying her talents toward one of her passions: music healing. 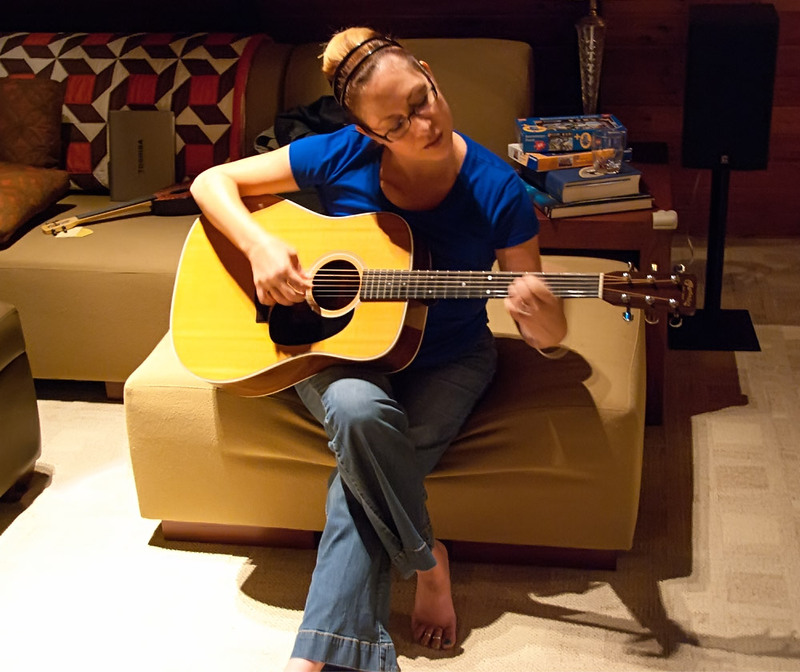 Luna's training and experience as a Bioenergy Healing therapist affords her a unique perspective on incorporating the energy of healing into the musical outreach of her singing, songwriting and performances... Bioenergetic Music Healing. 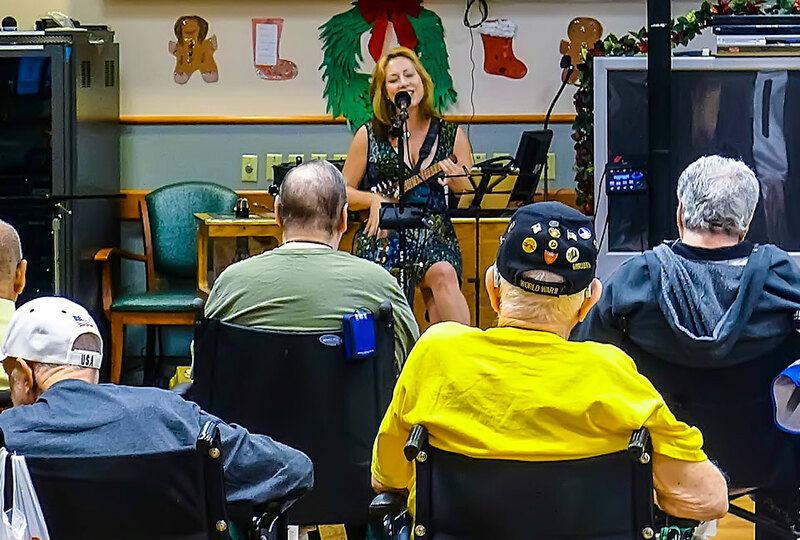 She believes in sharing the healing energy of music with those who need it most, in both group and individual settings... from giving concerts at VA Hospitals and other local patient care organizations to performing bedside for individual patients and their families. 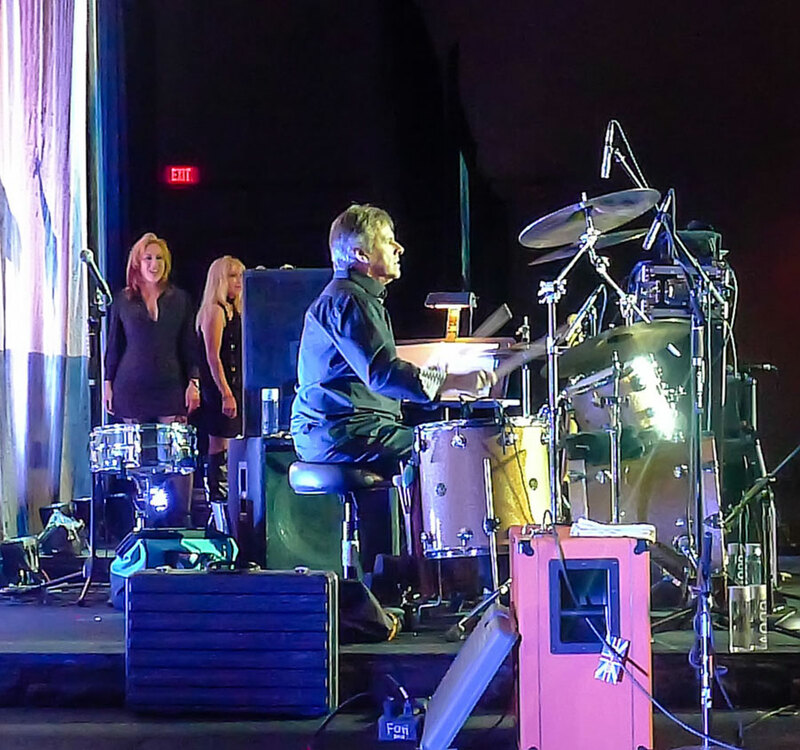 Luna has also worked with national non-profit "Musicians On Call," where she joins a caring group of volunteer performers including Kelly Clarkson, John Mayer, and Darius Rucker. Following her heart, she continues to expand her exploration and experience in how music can be applied as a healing art. Check in again for updates as this unfolds. "I come away from each experience with a heart at once exalted and humbled... and I am reminded why I was given this voice and the most precious way I can use it." Dispersing Light through a Vocal Prism. 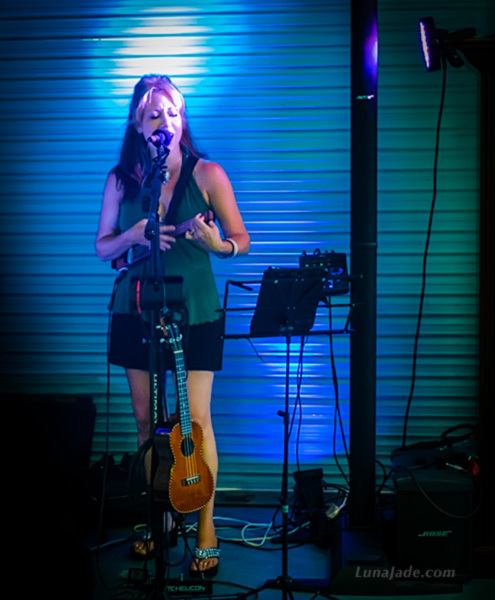 Luna also performs for the joy of it and has been a popular performer at regional Ukulele festivals. .. click image to explore ..
aurally and viscerally communicated, shared, absorbed and felt. Adventures in the visual and physical artistic realm. To craft something anew, to take what is and mold it into more than it was, or to combine the new with the old... all of these possibilities are made real by an artist's vision. Luna is guided by a muse with many voices, ranging from the deeply technical to the beautifully artistic. As she listens to whatever song is whispered in her ear, whatever divine impulse flashes within at any given time, she is perpetually and eclectically creatively engaged. It makes for a very interesting existence. A photo is a fleeting moment in time, captured and frozen, so that after the moment passes, it remains suspended; its beauty, meaning and power forever preserved. Beauty Suspended features Luna's Fine Art photography and digital design work. 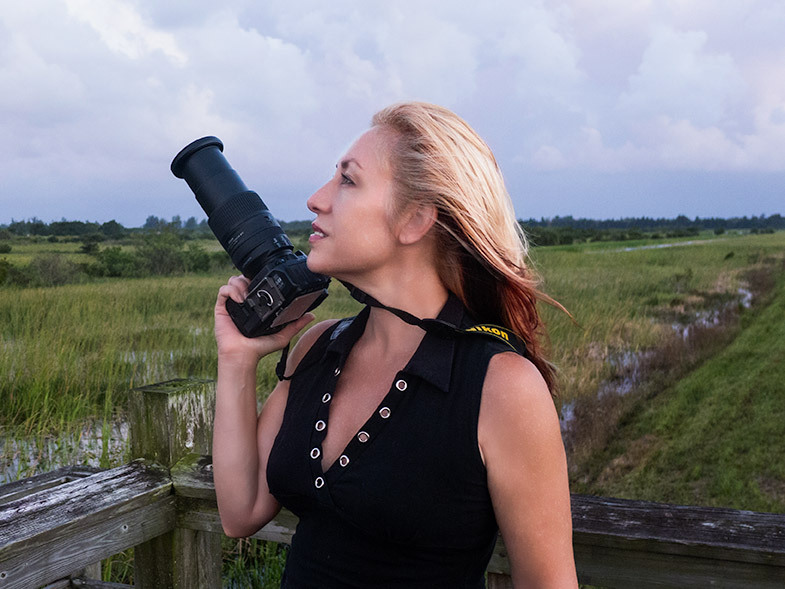 Although apt to explore many different visual topics, she is particularly drawn to photographing the natural world... the beauty in the world around us and the divine creatures we share this planet with. Visit the Beauty Suspended Photography gallery. Lifestyle and Entertainment Photography with an Artist’s Eye. Music, the creation and performance of it, is one of her deepest passions; capturing images of the magic happening on stage and in life is another. 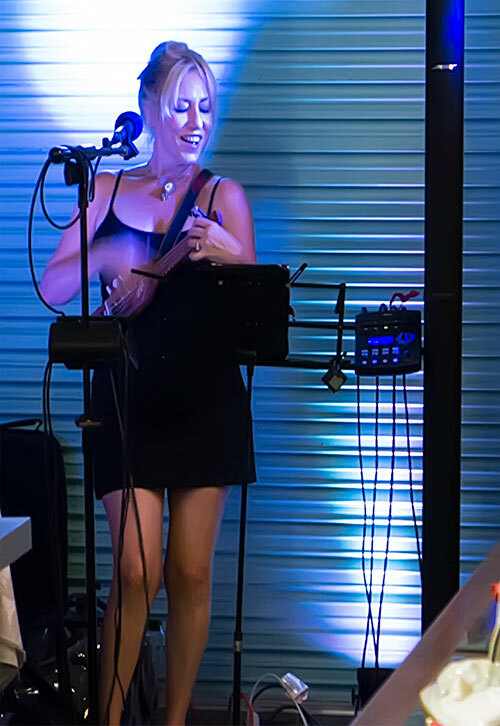 With the eye and instincts of a professional musician and live performer, Luna resonates with the experience, capturing the dynamic energy and subtle nuances of the artists and their performance. Visit the Luna Jade Photography gallery. Every artist has within them the need to create a tangible expression of the beauty that they perceive. Luna weaves and sculpts her beadwork and jewelry designs into the physical embodiments of her artistic visions. Each object imbued with her love and spirit. With the eye of an artist casting her vision on the digital world, Luna calls upon her artistic sensibilities to design and create visual elements and interfaces for her digital creations. 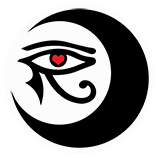 Custom web graphics and interfaces, digital art, logo design, etc... Luna's creations span the digital spectrum. Visit the digital design gallery. Creations that combine two of Luna's passions of expression... her words and imagery. Visit the Visual Poetry gallery. LunaLit is a high-quality provider of eBook formatting and design services. We format and render eBooks in a wide variety of formats, including mobi, ePub, LIT, PDF, etc. Additional design services are also available, such as Cover design, custom chapter graphics and more. Visit the LunaLit Publishing Design gallery. Luna's explorations into different mediums of expression… an ongoing artistic adventure. In all of us, whether we consciously know it or not, there are seeds of incandescence planted within, waiting for their chance to burst forth in blinding brilliance. They may be hovering close to the surface... or they may be nestled deep inside (some of the finest treasures are buried deeply). Go on an inner treasure hunt for your luminous seedling and nurture the flame into full being. And as you shine, watch those around you light up from contact glow. It can be contagious. The gallery is best viewed in portrait orientation. 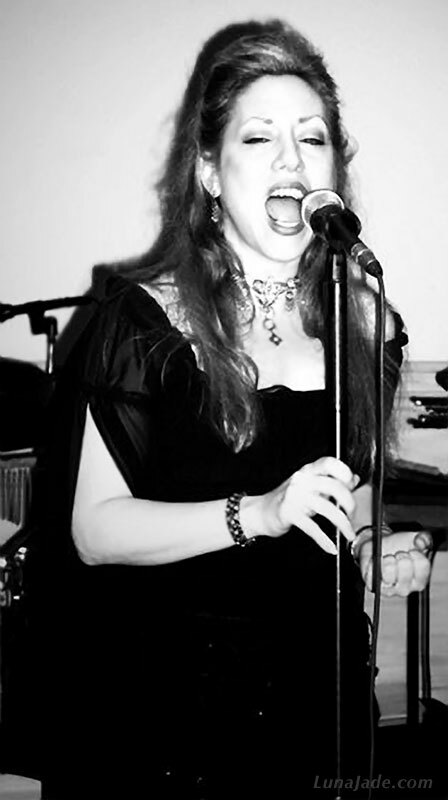 Performing at an art gallery event. 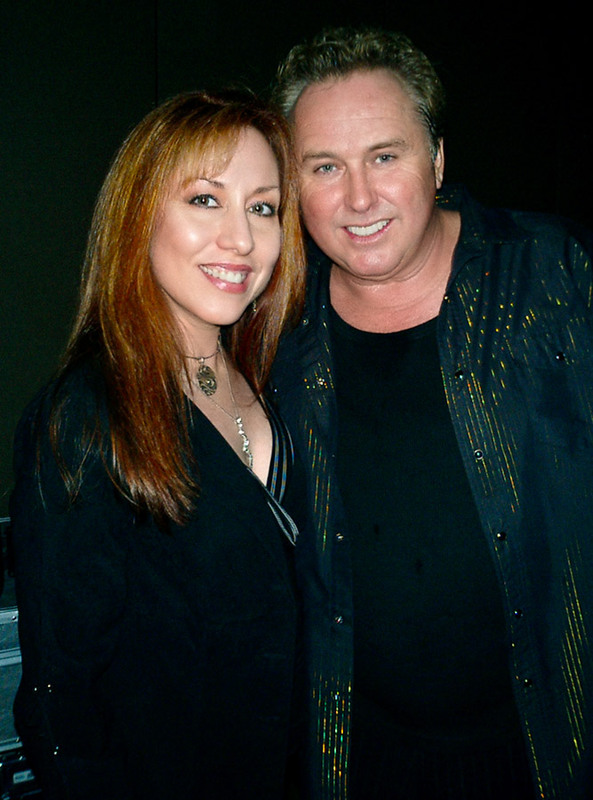 Vocal rehearsal with David Pack (Ambrosia). 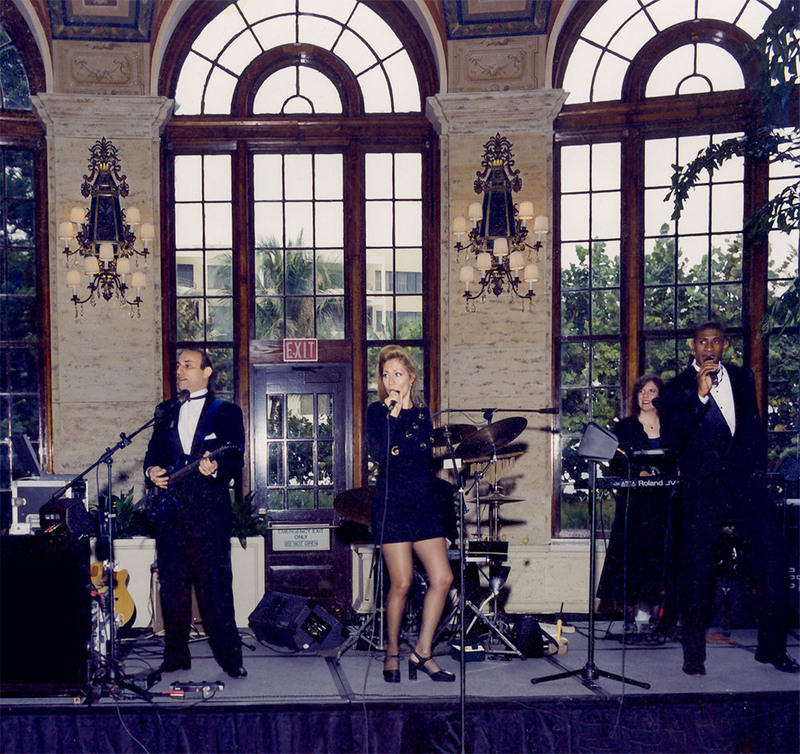 Performing at an event at The Breakers in Palm Beach. 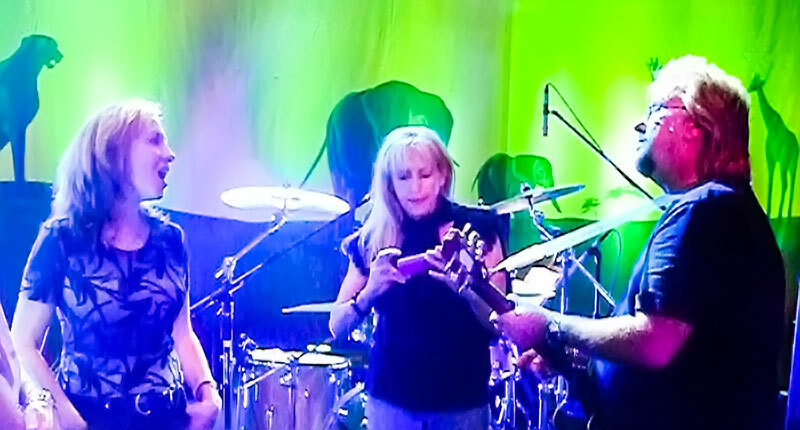 Chatting with David Pack after rehearsal. Is there any better place to be? 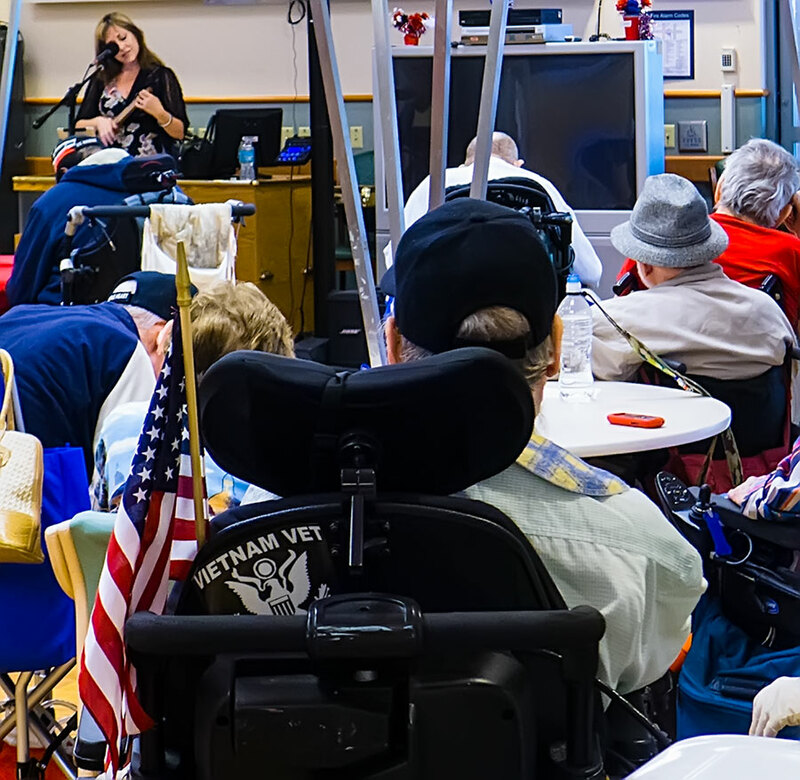 Giving a Labor Day concert at the VA hospital for our deserving veterans. a concert turned rousing sing-a-long. 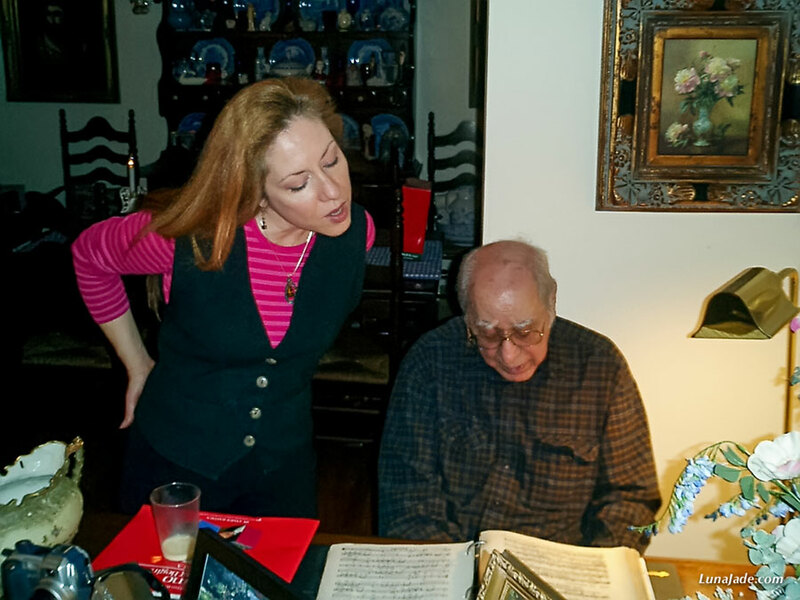 A musical heritage... Luna and her dad. Want to send Luna a message? You can also contact her here. Or join the mailing list. © 2003 - 2019 Luna Jade.